RVUNL JE RESULT Of JE Recruitment 2017. Many people apply in RVUNL JE career in last year i.e. 2016. The exam was held on 30 December 2016. But still result is not declared. Many people are eagerly waiting to know the Result date. RVUNL has not given is information regarding result still. So no one can guess the Result date. But today here we bring yoi some RVUNL JE Resrevious Year saked Questions Paper with Solution. Read full blog for complete information of Rajasthan AEN / JEN Recruitment 2016 Syllabus, Exam date , Admit card for RVUN, RVPN, JVVN, AVVN. Rajasthan Rajya Vidyut Utpadan Nigam Limited (RVUNL) released a notification in pdf form of advertisement for recruiting 1124 vacancies of Assistant Engineer/ Junior Engineer/Junior Chemist. The no of vacancy for JE is 817 and for AE is 284. For this RVUNL will take a Written exam i.e. procedure of recruitment is written exam the exam will be online mode. After successful completion of written exam RVUNL will release the JE and AE Answer Key. 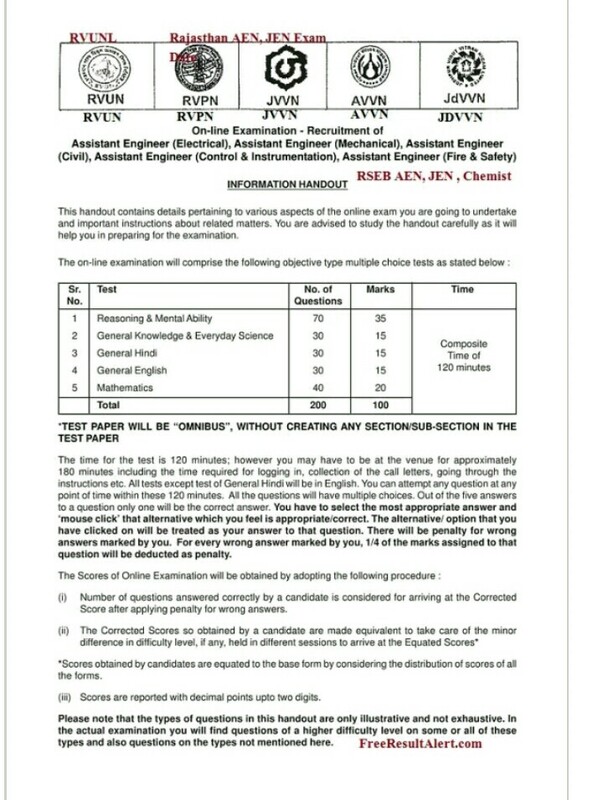 And according to no of seat and candidates apply RVUNL will release Cut off marks of Selection. Rajasthan Junior Engineer Cut Off 2017 Here . Written Exam was conducted on 29.12.2016 & 30.12.2016. The JE paper contains total 200 Question of 100 marks. And time duration for exam was 120.minutes i.e. 2 hour. 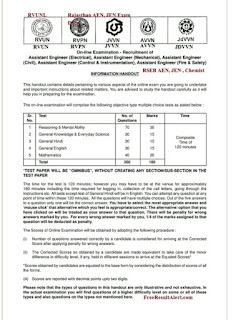 Below we have given link to download RVUNL Previous year questions paper with solution. Though is is memory based questions so we has not all question. As soon we get more Question we will upload. But here we uploaded about 100 previous years asked Questions Paper. JE Result has not been declared and also no information in official website. So keep update from official website regularly or visit our website because as soon as result will declared we will upload it. So check official website regularly. Please comment if you have any Questions or suggestions.